I recently posted about a Free Dyslexia Font that many readers found useful. While the font that I referenced may be beneficial to a number of individuals, there are actually hundreds of fonts that are available to download for free. My favorite resource for fonts is currently through Google and can be found at www.google.com/fonts. There are 629 fonts listed as I type this, but that is likely to increase over time. Go to Google.com/fonts to view all available fonts. 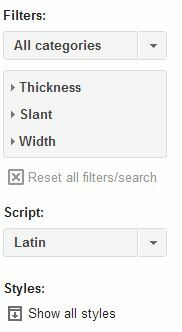 On the left of the page is a “filters” column that lets you choose between categories and other features such as thickness, slant, and width. After setting your filter, simply scroll through the list of fonts available and click “Add to Collection.” You can add as many fonts as you would like. When finished collecting fonts, click the “Use” button at the bottom right of the screen. 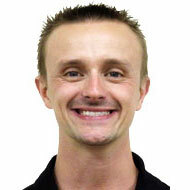 This will take you to an “Almost Done” page and provide instructions for adding to your website. However, if you want to download the fonts to use on your computer, click the download icon at the top right of the screen (see arrow), then choose to download as a .zip file. 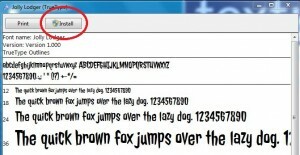 Open the zip file and double click on a font to view. To install, click the install button on the bottom of the font view window. 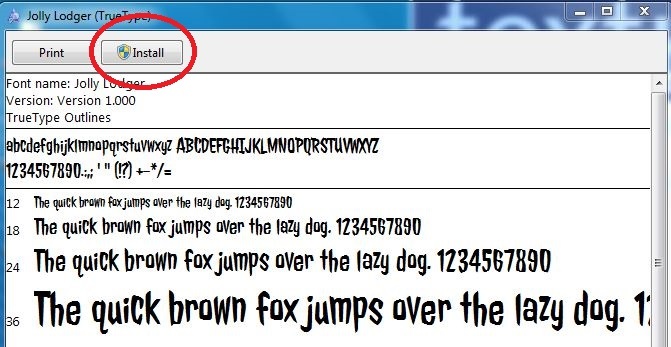 Your font should now be available to use in other computer programs. While downloading and using new fonts can be entertaining, it is also an engaging activity for students. The fonts can then be included in projects such as presentations, reports and more.